Given the abundance of its charms, it's hardly surprising that Thailand attracts many people who want to experience living and working there. For native English speakers and highly fluent non-native English speakers, the most accessible form of work in Thailand is English teaching. At the top of the range are qualified teachers of English as a foreign language working in prestigious international schools with correct visa and work permit. At the other end are unqualified native (and non-native) speakers of English on tourist visas providing conversation practice privately (and discreetly) on a part-time basis. All teaching is done in English. There's no requirement to learn Thai for the purpose of teaching English. In fact, many schools strongly discourage any use of Thai in the classroom. Learning Thai for the purpose of actually living in Thailand, however, is highly recommended. You can easily get by without it, but knowing even some basic Thai can make your experience of the country far more rewarding. Strictly speaking, to teach in language schools, you need to have a bachelor's degree, and the school employing you may also require some form of recognised 'Teaching English as a foreign language' certificate. If they decide to employ you, they will provide the necessary paperwork and help you to obtain the proper visa and work permit. You work under a contract of employment with a fixed monthly salary and various benefits, such as paid annual leave. You can then stay in Thailand for as long as you're gainfully employed. These schools include AUA (American University Alumni) and British Council. Salaries start from around 30,000 baht ($1,000) per month for around 20 - 30 hours of teaching per week. Some schools also offer part time work for around 300 baht ($10) per hour. Some of the smaller schools are far less strict when it comes to checking the teachers' qualifications or immigration status. Work offered is usually on a part-time basis and payment is made depending on the number of hours worked. The rate of pay may be similar to what the big schools offer to full time teachers, but there are no benefits included, such as health insurance. Also there are usually fewer hours of teaching work available. In the event of a class being cancelled, no payment is due - unlike the big schools who pay the teacher a fixed salary regardless of cancelled classes. Classes tend to be small (partly because the classrooms are physically small) and consist of between 1 - 4 students - maybe a few more at a push. Within the last decade, government or state schools have become a major employer of native English speaking teachers. The requirements are similar to those of the language schools, and, in fact, some language schools contract teachers out to government schools. The advantages of working in a government school are secure employment and a more predictable schedule of work, with weekends and school holidays off. The disadvantages include having to teach classes of around 50 (often unruly) schoolkids, many of whom have no real interest in learning. Early morning starts and, in many schools, a lack of modern resources and teaching materials are other often-cited negatives. Apart from language school teaching in classrooms, a lot of private teaching goes on in coffee shops, offices, students' homes or even the teacher's apartment. Technically, this is illegal without the proper visa and work permit, but it's common because it's very low-key and the chances of it ever coming to the attention of the Immigration Department are slim. Teachers who work in schools are often approached by students requesting private one-to-one tuition. It's fairly common and quite profitable as students will expect to pay the teacher what they were paying the school, (which is then cut out of the equation). It goes without saying that if the school finds out, instant dismissal will probably follow for stealing their students. Private students expect to pay around 250 - 600 baht ($8-$20) per hour for one-to-one tuition, but it varies by location, with Bangkok being the most expensive. As 600 baht per hour is expensive for most Thais, even in Bangkok, students may ask to share the lesson (and cost) with a couple of friends. 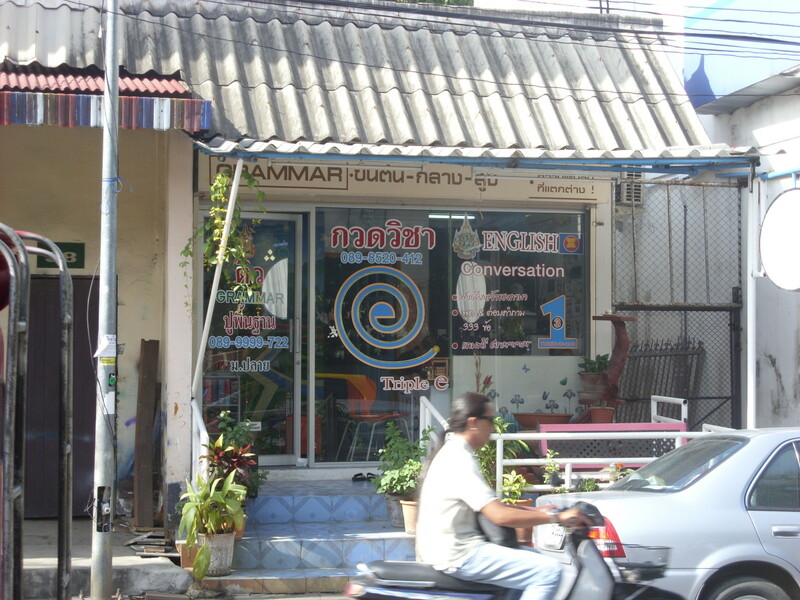 Many Thais just want conversation practice. They don't want to know the difference between a restrictive and a non-restrictive clause, for example, which is just as well since many native-English speakers don't know the difference either. More discerning adult Thai students, however, especially those who may need to use English professionally, such as doctors and lawyers, expect (quite understandably) English to be taught professionally by someone who knows what they're talking about. Don't try to teach beyond your capabilities. Typically, the textbooks have a students' version, which the school sells to the students, and a teachers' version, which is available for you to use during the lesson. The student version contains graded lessons with questions and various classroom activities.The teacher's book contains the same text as the student book plus all the answers and strategies for teaching each lesson. In addition, you need to pad out the lesson with various language games and activities, such as role play situations - e.g., sending a package at the Post Office, asking for directions, etc. One thing to keep in mind is the typical Thai attitude to learning. 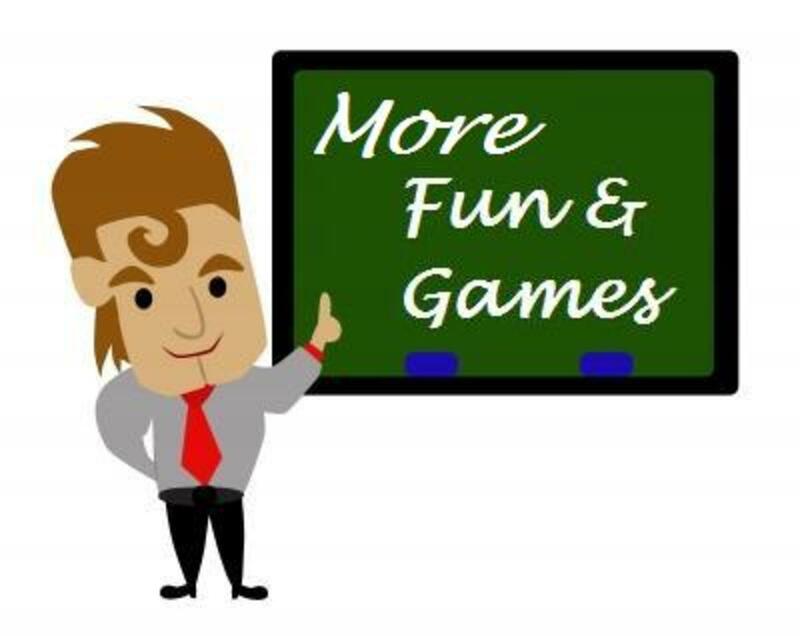 Most students want to be entertained rather than taught. They assume that just being in the class will make them better at English, so while they're there, they want the class to be fun. If not, they'll soon get bored and may even ask the school to change to another class that looks like more fun. At the end of the course, they may have to take a test based on the course. Everyone is expected to pass, even those who slept through the course or didn't bother to turn up half the time. The students can then move up a level and begin the next course. Some of those who understood very little in the previous course will have no chance of understanding anything at all in the higher course, but they won't be prevented from taking it. This is one of the more frustrating aspects of teaching in Thai language schools. There is a misconception among native English speakers that since they can speak English well, they are equally capable of teaching it. This is false reasoning. That's like saying that as you drink lots of beer, you are well qualified to be a master brewer. Teaching is both an art and a science. That's why there are short courses that you can take such as CELTA (Certificate in Teaching English to Speakers of Other Languages) administered by Cambridge University. These courses teach you how to teach. The more established schools now require their teachers to have a language teaching certificate. Some schools offer such courses (and certificates) to their teachers. Many schools,however, don't require it, and the new teacher, who may never have taught a day in his/ her life, is left to teach the course as best they can. Don't assume when talking to the class that you will be completely understood, especially in a beginners' class. Speak clearly and at a moderate pace. Don't use complicated sentence structures to explain simple ones, such as "By the end of this lesson, you will have learned all about the simple present tense". Using the future perfect tense (will have learned) with students who are learning simple present tense sentences, such as "This is a dog" is not a good idea - yet it's commonly done by inexperienced teachers, most of whom aren't even aware that they're doing it. Avoid using idioms (idiomatic phrases) that haven't already been covered in your lessons. An Idiom is a phrase with an accepted meaning that isn't the same as the actual words suggest. Examples include "on the other hand", "might as well" and "then again", If the student doesn't already know the meaning of "on the other hand", they'll be confused by it. Hand? - What's a hand got to do with anything? Their confusion at this point would be completely your fault. You can see lots of job offers on Ajarn.com (See link below). Most of the listings include pay rates and conditions. There are other TEFL sites too, but this is generally considered the best. Most of these jobs will require you to actually be in Thailand when making the application so that a prospective employer can interview you in person. However, it's also possible to secure some of the jobs from abroad if your written application and CV make a good enough impression. Some schools may even cover your airfare. As noted earlier, if you receive a firm job offer in writing before leaving home, you can use that to obtain the necessary initial 3 month non-immigrant (B) visa from your nearest Thai Consulate. Don't arrive on a tourist visa if you don't have to as it means you'll have to do a visa run to a neighbouring country in order to get the necessary non-immigrant (B) visa. You can also walk into any language school, smartly dressed, and ask if they're hiring teachers. Those looking to teach privately usually find students by coming to Thailand and hanging out in places where they're likely to find potential students. Getting to know locals and expats is a good way to know how the job situation is. Bars and coffee shops near universities are usually full of middle class Thais who are more likely to be able to afford lessons. In order to teach English in Thailand legally, you need to have a non-immigrant (B) visa and a work permit. A teaching certificate must also be obtained within two years of starting work. Most teachers arrive on tourist visas and apply for jobs while feeling their way around and getting to know the country a little. When they find a job, they then have to leave the country on a 'visa run'. This involves a short trip of 2 or 3 days to one of the neighbouring countries, such as Malaysia, Laos or Cambodia and, with proof of your job offer, applying for a 3-month non-immigrant (B) visa at any Thai consulate in those countries. Note: It would only be possible to obtain the visa from a Thai consulate in your own country before arriving in Thailand if you had already secured a written offer of employment from a Thai school or company. On your return from your visa run to a neighbouring country, you can start work, and the school will help you obtain a work permit from the Ministry of Labour, extend your visa by a year at Immigration and sort out your tax status at the Revenue Department. Although it's a requirement to have at least a bachelor degree in order to be eligible for a work permit and legal employment as a teacher, some smaller schools, if they're employing teachers on a casual part-time basis, don't insist on it. As long as the applicant is.a native speaker of English (and can remain discreet), that's good enough for them. 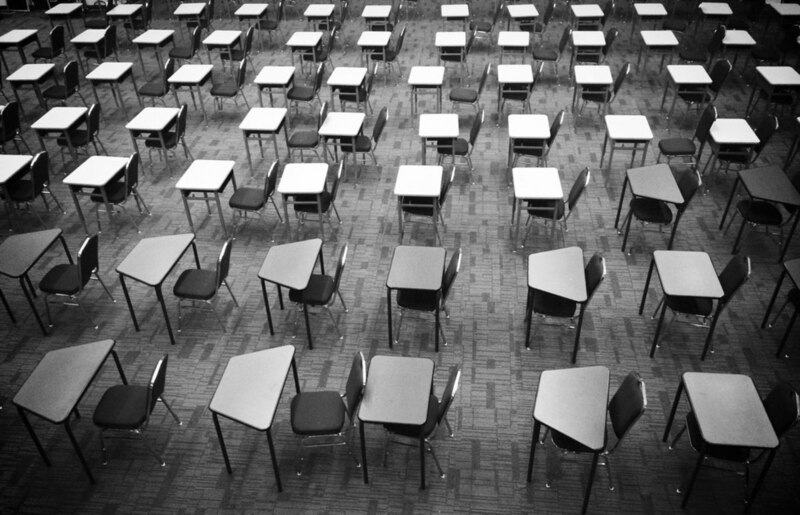 These schools usually have a high turnover of teachers, and they can't afford to be too choosy. Some people looking for teaching work are tempted to buy fake degrees, which are available in Bangkok's traveller (backpacker) areas such as Khaosan Road. Note that working with no degree (and therefore no work permit) is far less serious than attempting to get a work permit by using a fake degree. That's not just an immigration offence; it's fraud and could earn you some substantial jail time if it came to light. These are rare, but they do happen from time to time. Those working in schools without authorisation may be fined a couple of thousand baht (which the school might pay in addition to any fine imposed on them) and told not to do it again. The worst case scenario is a heavy fine and deportation after a few days in IDC (Immigration Detention Centre), but that would be very rare unless it's a more serious violation, such as a repeat offence or having no visa at all due to it having expired. In one case that I know about, four teachers were carted off by Immigration Department officials. Three of them, who didn't have the correct visa, were back at work next day complaining that they'd have to do some overtime to make up for the 2000 baht ($65) fine they were made to pay. The fourth teacher, who didn't actually have a passport, let alone the correct visa, was never seen again. Provided you have the correct visa, genuine degree and your work permit application is at least underway, even if not yet obtained, you're in the clear. If you want to try it - then just go. 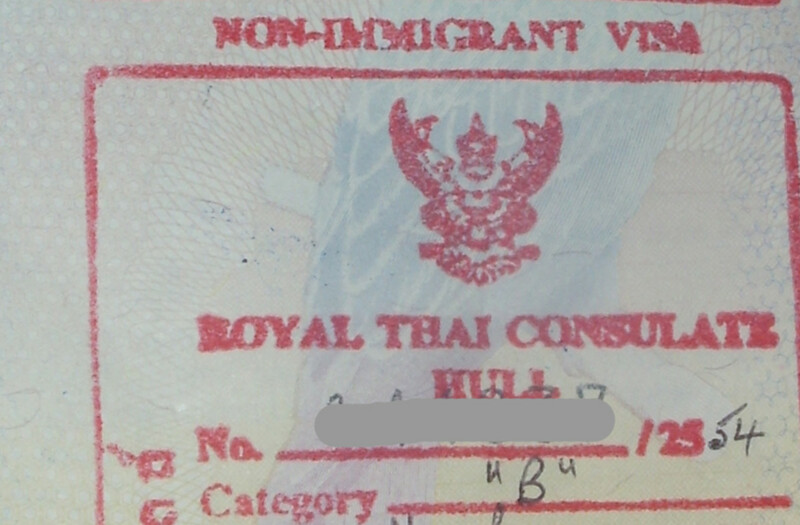 Nationals of Western (and many other) countries can arrive (by air) without a visa and be given 30 days to stay in the country (return or onward flight required), or you can apply for a tourist visa at your nearest Thai Consulate and get 60 days (return or onward flight not required). Use that time as a fact-finding opportunity. Meet people, find out the local work situation for any part of Thailand that you want to live in, make enquiries at language schools, and, finally, try to get a feel for the way of life. 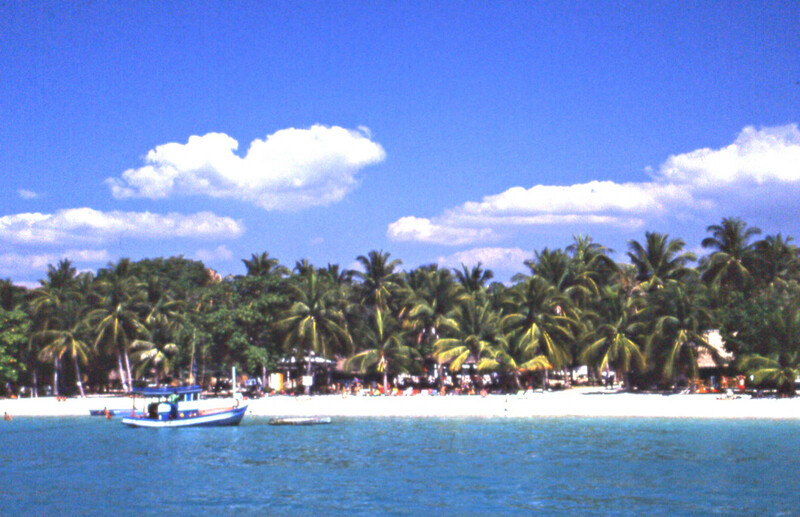 You may find you don't want to live there after all, or you may find it a tropical paradise full of fascinating things to see and do. If you find an official job, you can then follow the procedures mentioned above to get the required visa and work permit. If you find an unofficial job, you can start right away - just make sure you go about it discreetly. Thanks, Frederick, for your insightful comment about a top class international school - interesting and useful. 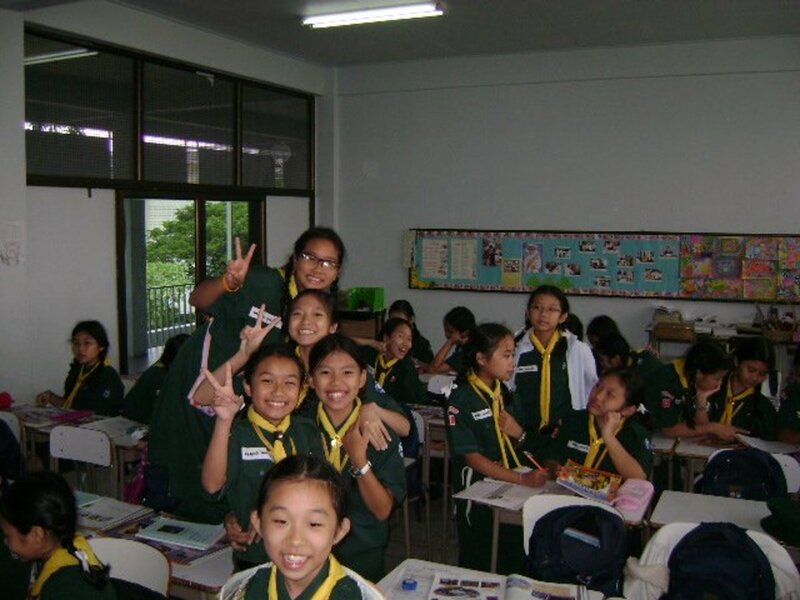 I studied at Bangkok Patana School, one of the best and most expensive international schools in Thailand. If you want to teach here, you will have to graduate from an incredibly famous school in order to qualify. Most teachers here have graduated from Yale, Stanford, Oxbridge, Imperial, CalTech, UC Berkeley, UCLA, Columbia, Harvard or even MIT. The principal here graduated from Cambridge and he only accepts someone from a very impressive background. I've heard that you automatically get rejected from the job interviews if you have studied from a university not in the Top 20's. It's sad but there is no chance of acceptance if one graduated from a random school not in the Top 20 universities. So to anyone saying that it's an easy job; not always. You will need to have a very high level education in order to qualify. However, they are seriously well-payed here; they get around $10,000 a month at international schools which is far more than what you get at a Thai school or a government school. Also, Thai kids aren't bad at English. Here are BPS, the top 10 at English are always Thai. I don't know why but I have never heard of a Western Student being the top achiever in English. It may not be our first language but somehow, we are always better at English than Westerners who spoke English as their first language. Thanks for your comment based on your own Thailand teaching experience, Paul, and for adding that extra useful information about the education tests. It's much appreciated. I taught English for almost seven years in Thailand and just recently was forced to retire at the age of 70. Everything that you say is true, and I have seen it during my time here. Yes, teachers, especially the ones who work in government schools, are expected to be entertainers or "while monkeys." In addition to government schools, there are a lot of people like myself who have taught in private grade and high schools. The pay is higher and working conditions a lot easier. I taught in an all-girls Catholic school and was earning 65,000 baht per month when I left. I learned that in getting the teaching license that if you don't have a degree in education, you are expected to take education tests which are sponsored by the Thailand Teachers Council every two years. There are four tests to pass. If you fail the tests, you keep trying every two years until you pass. Great hub. Congratulations on HOTD. I've always wondered how to go about teaching English in another country, and now I know. Thanks.